Are you suffering from avocado toast burnout? We get it—just like scheduling back-to-back SoulCycle sessions without any rest days, you need to rotate your healthy snack obsessions to keep things (and, okay, your Instagram) fresh. 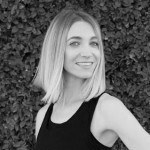 But that doesn’t mean you should ditch the wellness world’s it-fruit entirely; as UK-based celebrity nutritionist (and healthy fat cheerleader) Amelia Freer can attest, you may just need some fresh inspiration. “I can’t stand repetitive meals,” writes Freer in her new cookbook, Cook Nourish Glow. “So my recipes have evolved out of necessity… I’m always looking for creative ways to provide my body with the goodness it needs.” Her book is filled with easy, yet super-inventive examples of this M.O., including dishes she’s created for clients such as Sam Smith and Boy George—and many of which can be whipped up in the time it takes to toast a slice of Ezekiel. Read on for three of Freer’s go-to avocado dishes for all scenarios, from a post-workout protein hit to a seriously addictive dinner party starter. “George naturally leans toward a raw and vegan diet… He is now well known as the ‘food police’ to his family, friends, and colleagues, as he wants to spread his passion for health far and wide,” says Freer of her longtime client. “This is a soup he created for his brother and it has now become a staple in all of our lives.” And since it doesn’t require heating, this recipe is ideal for bringing to the office. Blend all the ingredients, except the pumpkin seeds, together in a food processor, then cover and chill for half an hour in the fridge. Serve garnished with finely chopped celery and apple, a scattering of toasted pumpkin seeds and a little drizzle of olive oil. Mash the avocado with the lemon juice. Slowly whisk in the macadamia nut oil and add the sea salt. Chop the fennel, celery, cucumber and shallot into tiny pieces (you could pulse them in a food processor) and stir into the avocado mixture with the capers. Toast the sesame seeds for 1 to 2 minutes in a small, hot frying pan until golden. Chop the tuna finely or put through a meat grinder and arrange on top of the avocado and vegetable mix. Garnish with the toasted sesame seeds. “By now, you know that we shouldn’t worry about the fats in avocados; they make us glow and they keep us feeling full,” says Freer. 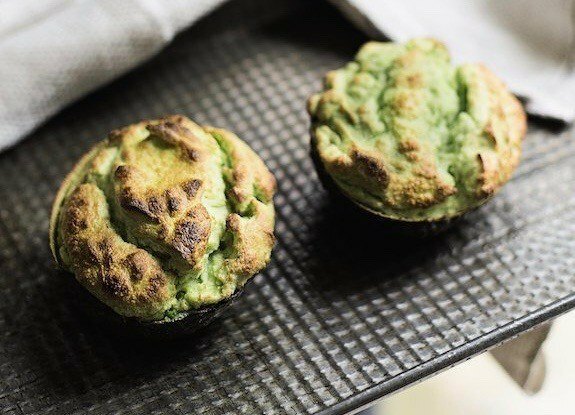 “Plus, they are so much more versatile than you might give them credit for.” They’re also truly tasty when combined with protein, like the egg whites in these soufflés. Scoop out the flesh from each half of the avocado, keeping the shells intact. Blend the avocado flesh with the almond butter and basil. Spread a teaspoon of pesto in the base of each shell. Whip the egg whites until they form soft peaks. Blend a third of this “egg white snow” with the avocado mixture and then slowly and gently fold in the rest without stirring. Divide the mixture between the hollowed-out shells and cook on a baking sheet in the oven for 7 minutes. Score more avocado recipes here and here, and then check out these 5 life-changing tips on selecting, slicing, and storing the all-star fruit.